I already did a search in the forums for similar threads before posting, and only hits I found are in the “Old” category. I read Instant Messaging (IM) XMPP module was discontinued since long ago. Why? And, is there a possibility to get back this module for current eGroupware? I think it’s still useful for certain environments. Was it wrong to ask this? A video conferencing would nice too. There are many wishes but actualy no solution. So really no plans for a chat module at all? We see the need for an IM app, but we have not found the time to develop one. You mean the phpFreeChat-Modul? This is not developed for a long time and does not support PHP>=7.0. And it was not an xmpp-client, but a separate chat-system. It would not be possible to develop our own xmpp-client. An existing client would have to be integrated again. Check out this client: JSXC. Would that meet your requirements? The requirement we would seek is, something like a small chat/instant messaging server built-in on eGroupware. Nothing fancy, just functional. It wouldn’t even need to be the XMPP protocol (I heard it’s already dying nowadays, yet I don’t know why). Main reason for this is precisely to not have to keep two different databases (eGroupware itself and the chat server we would need to install if wanting instant messaging functions). Just as short off-topic, a knowledge base would actually be useful at least for our case, but as already stated in the other thread, it is already “deprecated”? It wouldn’t even need to be the XMPP protocol. … XMPP protocol (I heard it’s already dying nowadays, yet I don’t know why). 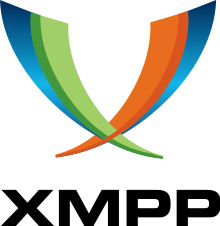 If you are interested in security and privacy, XMPP ist the right choice. I tried doing the search again, and I found one or two forums implying that XMPP “seems” to be dying partly because XMPP idea was to be an “universal” chat protocol, and now the big services such as Google, Facebook, WhatsApp, etc, are forcing their own proprietary protocols (AIM is no more); and also because XMPP protocol itself is “over-engineered” (don’t know what this could mean). Thanks for that. But it’s also clear something else would be needed to actually see something on eGroupware itself. So now all wiki/knowledge base related stuff would need to be done through the file manager? Excuse me, any more ideas by chance? I create android app to integrate Ticket system . I use SIP/SIMPLE for send/receive messages. Then i create XMPP for alternate channel to transfer messages and files as result of Ticket.